The NFL announced its 17-week, 256-game regular-season schedule for 2014. 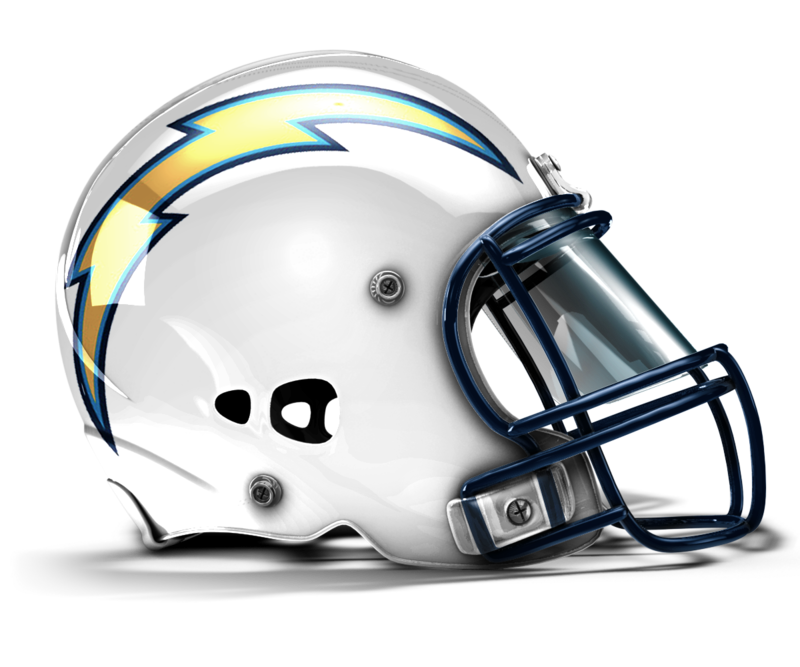 Here are the teams the San Diego Chargers will face on their journey towards Super Bowl XLIX in Arizona. Week 1: Monday, Sep. 8 at Arizona Cardinals (ESPN) 7:20 p.m.
Week 2: Sunday, Sep. 14 vs. Seattle Seahawks (FOX) 1:05 p.m.
Week 3: Sunday, Sep. 21 at Buffalo Bills (CBS) 10:00 a.m.
Week 4: Sunday, Sep. 28 vs. Jacksonville Jaguars (CBS) 1:05 p.m.
Week 5: Sunday, Oct. 5 vs. New York Jets (CBS) 1:25 p.m.
Week 6: Sunday, Oct. 12 at Oakland Raiders (CBS) 1:05 p.m.
Week 7: Sunday, Oct. 19 vs. Kansas City Chiefs (CBS) 1:05 p.m.
Week 8: Thursday, Oct. 23 at Denver Broncos (CBS/NFLN) 5:25 p.m.
Week 9: Sunday, Nov. 2 at Miami Dolphins (CBS) 10:00 a.m.
Week 11: Sunday, Nov. 16 vs. Oakland Raiders (CBS) 1:05 p.m.
Week 12: Sunday, Nov. 23 vs. St. Louis Rams (FOX) 1:05 p.m.
Week 13: Sunday, Nov. 30 at Baltimore Ravens (CBS) 10:00 a.m.
Week 14: Sunday, Dec. 7 vs. New England Patriots* (NBC) 5:30 p.m.
Week 15: Sunday, Dec. 14 vs. Denver Broncos (CBS) 1:05 p.m.
Week 16: Saturday, Dec. 20 at San Francisco 49ers (CBS/NFLN) 1:30 p.m.
Week 17: Sunday, Dec. 28 at Kansas City Chiefs (CBS) 10:00 a.m.
*Sunday night games in Weeks 5-16 are subject to change.